We need to make sure we continue to be part of that change or we are going to be sorry. It’s our responsibility to make our voice heard about the direction of education as we strive to prepare our students better for the skills they need now and for those we are unaware of in the future. Maybe you have heard a similar statement to this one here: We are preparing students for jobs that haven’t even been invented yet. It’s something to ponder. “In the beginning,” American schools were modeled after factories. Those privileged students were expected to memorize facts and figures in order to show their smarts and do well for themselves in life. Now, our job as educators is quite different. We are expected not only to teach ALL students, but we need to take responsibility for them if they don’t learn. 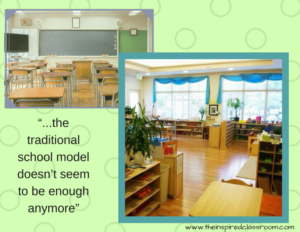 But the biggest challenge is that the traditional school model isn’t enough anymore. Our students need to be taught other layers of skills. Talk of these skills is not only a hot topic in education, but it is in the business world too, and rightfully so! People all across the professional spectrum are concerned with the skills students are acquiring and, in some cases, not acquiring. Daniel Pink, a best-selling author and speaker on business transformation refers to this idea as developing six high- concept, high-touch senses. Tony Wagner, an education consultant has his own list of “Survival Skills.” They have both authored books about the state of our country and the part education plays in preparing our students for the workforce. You are also probably familiar with the Partnership for 21st Century Skills, an organization that advocates for the readiness of children in the 21st century. Most recently, teachers find themselves needing to utilize a whole new set of tools to reach today’s students. SEL strategies are in high demand for our students as we see a rise in student anxiety and behavioral struggles. Among all the curricular demands, it’s become necessary for us to also develop students’ Social-Emotional Learning competencies. The ARTS Can Play a PART! Amidst it all, there is truth (and hope) in how arts education and integration can not only help, but teach many of these skills we are finding necessary for our young people. They can be a huge piece of the solution to get students from compliance to creativity, from rigidity to innovation and from anxiety to calm. People like Ellen Winner and Lois Hetland have done research on this, which was highlighted in their article Arts for Our Sake, showing the intrinsic skills that studying the arts can instill. These “habits of mind” that Winner and Hetland discovered through their research are very much related to the skills discussed by Pink, Wagner and the Partnership for 21st Century Skills. My work integrating the arts specifically with SEL in my own classroom (and the countless arts teachers who have been doing so for years) show time and again how the arts can help students find themselves and work with others. Regardless of the person, organization or terminology, they all have many skills in common: innovation, creativity, critical thinking, reflection, teamwork, problem solving, collaboration, initiative and flexibility. These are all arts-based skills! What Can the Arts Do? The arts help you express your emotions and work deeply with other content. They help us to integrate intellect and creativity simultaneously. 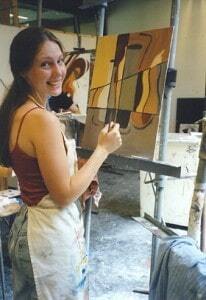 When people look at and interpret a painting, they are making personal connection with it and thinking critically, when they work with a new type of media, they are finding ways to express themselves as well as problem solving, when they play in an ensemble, they are personally performing and collaborating, when they play a game in PE, they are working on their physical skills and practicing good teamwork. An education in the arts can really develop most of those skills referred to as 21 century skills: those critical skills that students need to succeed and become prepared for the future. Maybe innovation and creativity are obvious, but what about some of the others? For example, take initiative, motivation, reflection and self-criticism. Here are skills that are sought after, but how do you practice them? When anyone puts together an aesthetic piece, be it a poster, a sculpture, a movement or sound, these skills are embedded in the act of creation. I think about my fourth graders who have put together a biographical poster to accompany themselves as they become a historical figure in a grade level wax museum. As they work toward a final product, they take the time to reflect, self-criticize and revise the content. So is the same with the one-minute speech they script for themselves. Students need to motivate themselves as they write it, practice it and present it many times for the audience of “museum-goers”. Presenting this information through a visual piece and drama not only teaches content and integrates art techniques, but allows students to practice some of these other skills. Because art is a process, students not only learn the value of a final product, but practice collaboration, self-direction, critical thinking and accountability. 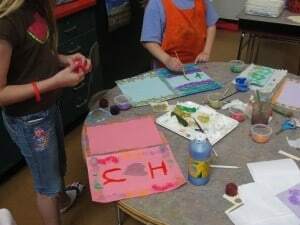 The Core Arts Standards of creating, performing, responding and connecting touch one nearly all the 21st Century Skills. Think of a musician playing alongside another. The accountability of that person to know their part is very high. If they don’t practice, they are letting themselves and their teammates down. Think of the collaboration dancers achieve as they move together in various degrees of tension and fluidity. By working and practicing together, they create something beautiful. Every so often, my students and I take a time in our schedule to have “Studio Days.” These are days where we work on a project from conception to product uninterrupted for hours during the school day. Sometimes these days are very much integrated with other standards in our fourth grade curriculum and sometimes they are not. Did I hear a gasp? Please don’t because while the students work, they are learning those skills that stretch far beyond the written curriculum, they are practicing and living 21st Century Skills as well as SEL Competencies – through the arts. For one studio day, my students decorated the covers of their learning reflection journals to make them more personal and special. 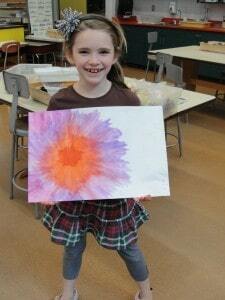 The kids loved the idea and enjoyed their time working on their own for an extended period of time. During another studio day, my fourth graders did an integrated art project where they created a folder to house a poem they wrote for their mothers for Mothers’ Day. They were to use paint, sponges and templates to create a Frieze Pattern on their folders as part of the design. Students reflect in a journal. Each time we have studio day, we always end with a reflection time where students think about themselves as learners. The entire day provides them with a wonderful opportunity to experience the creative process, the learning process first hand. These 21st century skills of innovation, self-motivation, reflection, collaboration, independence and hard work are embedded throughout these art-filled experiences. And they are so important to a child’s future. These are skills that employers are seeking out in employees. They take practice and the arts provide a way to do so. Media literacy is as much part of arts education and integration as it is technology. It’s not all about memorization of facts and figures anymore, it’s about how to process all the information that sits before us on a screen. From music to videos to text and images, digital media is unavoidable. It is also artistic in nature and if we are training our students to be better receivers and creators of art, this will transfer to technology. For example, many times I’ve assigned projects for my students using Glogster.com, an online program where people can design and publish digital posters that include all types of media. With this type of assignment, students are able to show what they know about a concept while using tech tools to express their ideas. I don’t have to tell you about all the great possibilities technology can have for our students. Hopefully, technology is becoming a natural part of your teaching. With Google Classroom and the countless other programs your school may (or may not) have subscribed to, students are able to take advantage of individualized learning. Work with STEM subjects is also an important part of our ever changing work in education. But STEM can only naturally be enhanced with the ARTS. STEM needs to be STEAM as you are creating your innovative lessons and maker spaces. The elements of design, color and presentation are only scratching the surface of what Arts bring to STEM. Music is one of those medias that we cannot escape either. It is everywhere! In my class, I have time carved out of our day, each day, where we sit and listen to music together. Sometimes the music comes from a CD or iPod, other times it comes from the computer, but we spend time listening and processing music together, helping students to become active listeners. When our classrooms are full of real learning experiences where we can step back and let students take a front seat to their learning, students will flourish. They need to try things out, fail, work with mistakes, reflect on their actions and learn from their experiences in order to succeed. Sure there are time restraints, curriculum pressures, test scores and meeting AYP. But we also need to remember we are teaching children how to be life-long learners, how to be great contributors to society. It’s not how well they can do a menial task, but what innovation they can come up with when given a challenge and how they handle the challenge before them. Let the arts be a tool with which they can practice those ever important skills. Note from Elizabeth: This article was first published in the first issue of Via: The ezine for educators, administrators and advocates of arts integration from Educationcloset.com in January 2011. So much has changed since then! Many edits have been made to reflect the changes in education in the past 6 years, in particular STEM to STEAM and the need for SEL in our schools.